When Chloe gets sucked out of her normal teenage life in America and lands in a magical world where monsters are real but indoor plumbing isn't, she has no idea that the biggest challenge she'll face isn't getting home: it's convincing her brother to leave behind the addicting magic of the new world and come home with her. There's way too many complications in this new world for Chloe. The knight she's falling in love with is a berserker who goes mad with bloodlust—and is in love with someone else. The Prophet Monk whose power in magic may be the key to sending her home is an eight-year-old smart mouthed boy. And her brother, who should be the one person in this new world she can trust, has joined an evil demon lord. As Chloe begins to see eerie connections between this new world and Earth, she realizes that sometimes you can't save the people you love...especially if they don't want to be saved. I'm reading a book right now based solely on an editor's recommendation on her blog. I respect the editor and her tastes. But I wish the book was what I thought it was. I blame marketing. I'm not going to list the book here, because the way I see it, it's not the author's fault its marketing is misleading. I don't hate the book, I hate the way it was marketed. So, here's how it got sold to me. A juvenile love story. On the cover, lots of bright colors like pink and yellow; a girl in very fashionable clothes, fashionable in that new retro-hippie but still super-cool way. On the back cover copy, a description of how two kids maybe sorta fall in love. So I'm thinking, this is just a cute, modern love story, right? It's Southern. REALLY, really Southern. I'm from the South. I teach in a school where there are goats. There's a whole farming thing at my school. My closest neighbor is a cow. I was raised in the Appalachian mountains, I went crawfishin' down at the creek as a young 'un, and I know the proper way to spell y'all. This book is more Southern than me. I wouldn't mind, if the book had been marketed as Southern. It doesn't look Southern, it doesn't sound Southern on the back cover copy. And, to be honest, it sounds too Southern in the text...to me, it sounds like a gross exaggeration of the South, like redneck jokes. The kids talk like my granny used to talk (yes, I called her granny. I told you I was from the South). The kids in the story are obsessed with a sausage festival, go to a school with combined classes, and one kid has a leg brace. It sounds like a story from the deep South...in the 1950s. You know, with polio and stuff (hence the leg brace). Southern kids today do not want to associate themselves with the South, not this much. There are Goths and emos and yes, even scene kids at my Southern school, right next to the goats. There are not kids in leg braces saying things like "them skeeters are havin' a sit-down dinner on my back, let's go to da sausage festival y'all." So, basically, that's how a pink and yellow book that claimed to be a romance novel for kids ruined a perfectly good Southern historical novel. If the book hadn't tried to dress up as something it wasn't, I might actually have liked it. Just when you think agents are really just little devils who torture writers by poking pitchforks in their queries....an agent comes along with something like this. That makes me feel like I might have a chance...and it makes me wish Janet Reid rep'd YA! The big changes--fixing the POV, adding pages more of description...that was easy. Then I got to the part in my story, The Red Thread, where Heath kills the dragon and "a rainbow of black blood pours over him." And everyone--everyone--in my critique group hated it. I can see why. I wrote "rainbow" as an arc, but everyone read it as colors. It doesn't make sense. But it still feels so beautiful, so poetic to me. I finally understand that old quote about killing your darlings. I slashed away phrase, hacked off whole paragraphs, massacred pages...but this paper-cut of an adjective hurts worse than any of the rest! *sigh* I haven't got the heart to edit any more tonight! I've got a lot of irons in the fire now. A manuscript revised by an editor that I'm shopping around. Another manuscript I'm working on revising. And a work in progress that I can't get out of my head. Thing is, I'm loving revising right now! I usually hate revising, but this time around, I'm actually enjoying myself. I think it's because of my new critique group. The little comments--both good and bad--have been very inspiring. One comment from a critiquer about a voice sparked a whole new page of text...another about motivation made me cut two pages. A plea for more description of the scenery gave me a flash of inspiration to add a little bit of foreshadow to the background. A comment about a character's reaction made me explore her thoughts for a whole new paragraph. When I revised before, I paid a sharp eye to grammar (I am an English teacher, after all) and consistency, but I had trouble identifying my own plot problems--I know how my characters feel/think/act, why doesn't everyone else?! Seeing my work through others' eyes has helped me see new ways to improve it...and helped me be so much more creative and happy with the finished product. ...but for once, I'm actually enjoying doing a revision on my work, and I'd better not stop the muse now! It started off as a simple idea. Add a list of my favorite books to my blog. A lot of the author/agent/editor blogs I read do the same thing, so why not me? So I go check out my 3 floor-to-ceiling bookshelves. How to pick? I limited myself to ten...but which ten?! Should I only have YA? Just fantasy? What about other books that influenced me?! There were too many to count...so I went to the old stand-by. If I could only have ten (or, er, eleven) books for the rest of my life, which would they be (and I cheated, haha, and chose several book series)? 1. Chronicles of Narnia, by CS Lewis. As I said yesterday, this is the most influential set of books I've ever read. They changed me--they made me want to create similar books as a writer, want to explore literature professionally as an English student, want to show others the power of literature as a teacher, and want to make myself a better person as a Christian. 2. The Hero and the Crown, by Robin McKinley. I saw the move Becoming Jane when it came out. In it, James McAvoy tries to explain to Jane why he did what he did, and his blue eyes shone while his lips quivered an inaudible "please." I wept. That was a moving scene, and image I cannot forget....but still, not as powerful as when Aerin meets her father after fighting the dragon and her father sees just how damaged she is after saving the kingdom. 3. The Enchanted Forest Chronicles, by Patricia Wrede. They're hilarious. They challenge the norm. They're just pure entertainment, brilliantly done. 4. A Wrinkle in Time, by Madeline L'Engle. Another influential book, found shortly after reading Narnia as a child. I don't like them for the same reason why everyone else does--I like the possibilities that L'Engle doesn't write about. The subtle hint of growing love between Meg and Calvin. The power in Charles Wallace. The possibilities presented by a world where tesseracts are real. This book was one of the first that made me wonder about what wasn't written...and inspired me to start writing my own. 5. King Lear, Shakespeare. I wouldn't be a nerd without love of Shakespeare. But Lear's the best. I read it in college, and immediately thought of the old Appalachian tale "Like Meat Loves Salt," a Grandfather tale I'd loved as a girl and how I always interpreted real love to be. Love is more than just male and female, and Lear and Cornelia (even her sisters) show many different aspects of the power of love. That, and the crazy-guy scene is just great! ...read on tomorrow for the rest of the list! I am considering submitting Babbletongue to a Christian agent (not an agent who's Christian, but an agent who reps only Christian works, obviously). I'm worried that she won't think it "Christian enough." All of my works are Christian, although none of them are overtly so. CS Lewis changed my life in more ways than one. Because he wrote a story within a story, I realized that literature is fun and intriguing, and part of my life became dedicated at a very early age to the exploration of books...which lead to a career as an English teacher and a soon-to-be (notice the hope?) career as a published author. More importantly, it helped me understand more than any sermon or pamphlet ever could about the real meaning of Christ's sacrifice, and the love He had for us despite our sin. I have made it my life's endeavor to emulate not his work, but the feeling he evoked in me because of his work. ...which is saying something, considering my heroine in Babbletongue is a snarky girl who kicks cats. But the correlation is there. In Babbletongue, Mina learns about True Names (the soul) and their importance. She learns about how important it is to protect your soul from temptation. That power isn't as great as truth. That loving someone can mean letting go. That the best decisions in life are the hardest...and often involve sacrifice. That a snarky girl who kicks cats can still have a Christian life. I'd venture they might have to read ten million. I think that reading is an integral part of writing. I've already blogged about why I keep on top of my genre, but I think it's important to branch out into other genres. I've found, when I read books in my genre, I tend to be focused on story, and if I'm not, I'm focused on genre-specific craft (i.e. what new twist is there to the genre). With other books, I can learn more about more general craft. For example, I'm currently reading The Tenth Circle by Jodi Picoult. It's brilliant, as is most of her work. But, since I'm working on revising POV and voice, I noticed how wonderfully she crafted the POV switches. But if Julie Kramer says I need ten million words, then I'd like to add that TV counts! I know TV makes us lazy, but there're still some shows out there that inspire and focus on story. My new favorite show is Eli Stone. It's the best thing I've seen on television in a long time...it's a borderline favorite. This show crafts a story with comedy, tragedy, and an important message all at once! If I can write something that can make my readers laugh and cry as quickly as I do for an episode of Eli Stone, then I will know that I've made it as a writer. My day job is as a teacher. I enjoy my job. I work with teens and am still young enough to relate to them (I'm only a decade older than they are; many of them have brothers/sisters around my age). Anyway, I like English and I enjoy my job. I basically spend all day talking about literature and writing and helping others find the joy in it that I do. But here's the thing. I enjoy my job...but I don't love it. Not the way I love writing. I realized this because I am having to work closely with a new teacher, helping her to get the hang of things. Within five minutes of my meeting with her, in the middle of me suggesting lesson plan ideas for African literature, she burst out crying. Me, I don't handle tears well. But I realized, to her, she's in a job she loves. It's not working out for her, and that's driving her crazy. She can't stand the fact that she's not inspiring the kids and they don't listen to her and that they (honestly) think of her as a bit of a joke. She's miserable...not just because she's working with kids who are making her miserable, but because the job she loves, the job she wants, the profession she wishes to be a part of...it's not working for her. Teaching isn't that way for me. I enjoy it, but I could quit tomorrow and have few regrets. I've never cried over the job. But I've cried over writing. That's the difference between a profession you can do and a profession you long for. I'm a better teacher than this girl is--I maintain my professionalism and I'm excellent at what I do. I'm better because I don't care about it as much as she does. But that's the same thing that makes me a worse writer. Because I long for a profession at writing, because that is what I care about more than anything else...I'm not as good at it. I'm too emotionally attached sometimes. I have to work harder because I care more. But if that just means that I work harder, and more, and with more care on the thing I love to do most...then it's worth it. "Invert the cliche" is Bob Dylan's advice to the writer. ... If you're making a flying saucer movie, make the saucer-men friendly. If you're making a WWII movie, take the most irreverent approach possible to the war and its causes. If you're making a haunted house movie, make the house an anonymous suburban tract house. ... In the case of E.T., if you're making a movie about contact with an alien, start by telling the story from the alien's point of view. Which is sound advice for a writer. Inverting the cliche...taking what is common and twisting the idea into something unique. It's something I've striven to do in my writing for many years. Whether or not I've achieved that goal...we'll see. But in Babbletongue, I made the "normal girl saves the universe" less of a cliche by adding in a desire--a cure for her grandmother's Alzheimer's--that is unachievable for the heroine. It's not that there's no happy ending...it's just that there's no cure, and that's life. Also, I added in a blue penguin. Bit random, that. In The Red Thread, the heroine's brother turns to the side of evil to feed an addiction that is paralleled to drug abuse in the real world. It's not preachy--as a sister to someone who died of an overdose, I don't intend to preach but to show reality. So there you have it. If I've succeeded in my job as a writer, I've inverted the cliche. If not, I've simply got to keep trying. Of course, after I send a requested partial out to an agent, I have a flash of inspiration to add in another scene in Babbletongue that shows more of Mina's past in the first chapter and shows how she was using her power without realizing it in order to get her strange living conditions. I explain later, around page 70 or so, but it will work so much better sooner on. Just when you think you've got something polished to perfection, there's always something new to add! I wish there was some way to let editors and agents know that you're a serious writer. I know, the writing is what counts, and a serious writer is willing to invest the time to make the writing and professionalism be what matters most. On the other hand, it would be wonderful if there was a secret code or symbol or handshake or something that would bump us up from the rest. On thing I've noticed is that if you let others know you're a writer, then there are all kinds of hidden writers that come to you. People who've always thought of writing that one book, or who have a great idea for a novel if they just had the time, or who expect to make it a second career after retirement or during the summer or something. Sometimes they even write those books (thanks NaNoWriMo)...and then the slush pile at agency and publishing houses are filled with crap from people who think that because they've written a book, it deserves to be published because, you know, it's a book. Doesn't matter if it's good or not, it's written. I have to admit, I used to be that person. I thought the hard part was the writing. But since I've been in this publishing game for awhile, and kept track of publishing news, and learned more about the business and about writing, I wish there was some way to separate myself from the casual writers who don't really know what they're doing, to the people who are really trying to be published and have a fairly decent idea of what it takes to be published and are willing to go the extra mile to get their book publishable. I've wondered, in going over some of my really nice rejections, that if the agent knew that I would be perfectly happy and willing to make revisions and work with them and not be that psycho who gets affronted when you insult her "baby," if that agent would have considered me more seriously. If there was a badge or identification card or something to prove I'm a serious writer...would an agent be more willing to sign on an author they knew needed some tweaking, but was willing to do what it took to get their manuscript better? I've tried hard to perfect my manuscript, and it's evolved since I first wrote it, but I know that a professional would have a better idea of how to make it even better...if the professional only knew how willing I was to do that. There needs to be something to separate those who care and work from those casual writers...if only! Still revising. I'm pretty sure revisions will be going on until the book is published...and even then, probably some more revisions. For the first time, though, I'm really enjoying revisions. I think it's because--due to a couple of contests that tied my manuscript up--I've been a little detached from my work. Coming back to it now, it's a bit easier to slaughter my babies with my mighty red pen. The comments from my critique group are great and really on point, and coming back to the ms. after so long has helped me see the work more as a whole in a visual, holistic way and helped me to develop a better organization for the ms.
Of course, this means endless work, no sleep, and my husband better not even mention the fact I've not done dishes in a week...but it also means a better book, so it's worth it. The Red Thread is currently going through my critique group, and already their comments are so spot-on that I can tell that I'm going to have to do some heavy revisions, especially to the first chapter, where I've got some POV problems. I dislike revisions in general, just because now I'm working with a book where I know the ending and usually (as in this case) I've already started another book where I don't know the ending and cannot wait to finish it and see how it is. Problem is, I've got some new great ideas of how to revise The Red Thread, and now I want to do both at the same time! Day-job, schmay-job...I wish I could spend half the day working on The Red Thread and the other half working on the new WIP! Right now it feels as if my brain is split in half--part thinking about how to revise The Red Thread (I came up with an entirely new opener last night, close to midnight), and part still trying to puzzle through the problem I've given my kids in the new WIP. Blegh. Blegh, blegh, blegh! I dun wanna revise! I wanna write a new story!!! I joined the Society of Children's Book Writers and Illustrators earlier this year. There were several reasons for this. 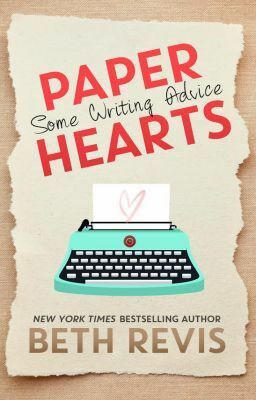 Many authors said it was helpful, a few agents listed it as a requirement for submission, and this seemed to be the only organization that was consistently, across-the-board, considered to be a mark of professionalism in writing. I've got mixed reviews since joining though. Some of the printed information is brilliant...some of it seems rather obvious or inapplicable to me. I can take that with a grain of salt--if you're trying to please everyone, there's got to be compromise. It just seems to me to be a little over salted by this point. The website design is great! ...but there's hardly ever any good new information that I can find. There's a message board for writers across the nation! ...but no one's on it (look at the log dates--there's months between posts in threads). The state chapter seems very active! ...but not in my area (the active part is a 4 hour drive for me, from the mountains to the center of the state). So at this point, I'm still in the trial stage of SCBWI. I'm considering a national workshop, maybe next year, when I'm more ready to present my novel. I'm hoping that there will be more local stuff for me, or at least something within a 2 hour drive. If nothing else, the publications have kept me up to date on the publishing world, and it's always good to be a part of a professional organization. Besides which, I have to consider my position--I live in a rural area, so I have to expect to drive to others to get what I need. In my previous post, I talked about Amazon creating a monopoly on ebooks...I meant, self-pubbed books. I have no idea why I spaced on that one. A PS to my previous post on new technologies.... I am thrilled about this: vending machines for books! This is what I'm talking about... this is the kind of change and innovation in technology and means of publishing and distributing that I want! Now if they could only add easy jump points in bookstores for me to download a book*....ah, perfection. *In my mind, I'm imagining bookshelves that display the hard copy of a book. I can buy the hard copy if I want, but I could also plug my iPod directly into the shelf and dl the book instead, if I'd rather do it that way. Wouldn't that be amazing?! Some big news afoot in the land of publishing, as Hyperion founding publisher Bob Miller is embarking on a project that is so futuristic and groundbreaking it just may involve flying cars and robot vacuum cleaners. Miller is moving over to HarperCollins to launch a publishing group that will involve a profit-sharing model for compensating authors rather than the advance/royalties model, and will attempt to find new avenues for books in electronic media. And, of course, SCBWI (at least the Carolina branch) is up in arms over Amazon's upcoming policy about only allowing their inhouse e-publisher sell e-books on Amazon (as opposed to allowing any e-pub sell e-books via their site). This move will obviously increase profit for Amazon's e-pubilisher, BookSurge, but at the same time does seem as if Amazon is dressing up in a little suit and top-hot in order to collect $200 every time they pass "Go." All of this is indicative of the changing face of publishing. Publishing is going to change--perhaps not as rapidly as the music industry has had to (Napster and iTunes speeded that up nicely), but there will be change. Look how efficient the audiobooks feature is in iPod. Look at the advancements and obvious interests in Kindle and other e-readers. Heck, just look at how thin and portable laptops are--to say nothing of internet capable phones. Despite what the educational and publishing professionals are saying, people read. We just read differently. I've listened to the Harry Potter books on my iPod more than I've read them. I've purchased e-books and enjoyed them. I read blogs instead of newspapers or magazines. The method is different, but I don't read less than before...in fact, I probably read more. Which is why we have to change the way we market and sell in the publishing industry. While I do think that Amazon is being a bit monopolisitc (it's my blog, I can make up my own words! ), I do think Miller's idea of "profit sharing mode" (which does sound like "no advance, but bigger royalities") is at least worth a try, and I applaud any effort that explores new methods to publishing. As a teacher of teens, I see it all the time. They're one step ahead of adults as to the next big thing. If publishing professionals are more willing to explore different avenues of publishing (online, electronically, even via cell phones or new forms of media), then the publishing industry will grow and change--and may one day rise to the point of appreciation that is currently being enjoyed by the music industry. Yes, music can be downloaded illegally...but I don't see how that's had a negative effect on music labels, especially now that musicians are releasing their music directly to the public--and profiting from it. For real change, publishing will need to follow in the music industry's footsteps: develop technology to support the changing times (like a book version of the iPod--perhaps the Kindle), develop new ways to publish (ebooks, audiobooks...something new? ), develop easier access to release new published items (like a publishing version of iTunes)...and even if there is a Napster-style theft that crops up, more profits--and more audience--will roll in. I posted my new query (the longer version) on my critique group's website. I'm going to continue to revise based on suggestions. So far, the biggest problem I have is with the end of the first paragraph. Sixteen-year-old Chloe felt no shame about sitting in the middle of the street, crying. Wouldn’t anyone who was plopped naked into a world where monsters are real and indoor plumbing isn’t? The Red Thread, a 70,000 word YA Fantasy for teen girls, shows what happens to Chloe when she's jerked abruptly out of her modern New York life and into a world where she must challenge all she used to believe in. On her search to save a brother who doesn’t want to be saved, Chloe meets with a knight who tends to go mad with bloodlust at the most inconvenient times. She finds herself falling in love with him, but he's more focused on saving a kidnapped princess. In the end, Chloe discovers that in order to have the life she wants, she must learn to accept the knight for who he is, and to do all she can to change her brother. I believe you'd like The Red Thread because of your work with _____. 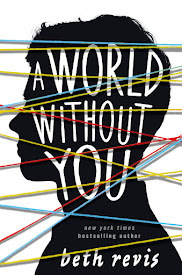 The Red Thread is funny and entertaining, but there is a serious undertone that would appeal to modern teens: a connection is made between Chloe's brother's magic use in the new world and his drug use in his old one. I chose to submit to you because of your wonderful taste in [genre], and because you [personalized tidbit about agent]. [protagonist name] is a [description of protagonist] living in [setting]. But when [complicating incident], [protagonist name] must [protagonist's quest] and [verb] [villain] in order to [protagonist's goal]. [title] is a [word count] work of [genre]. I am the author of [author's credits (optional)], and this is my first novel. I chose to submit to you because of your wonderful taste in YA Fantasy, and because you [personalized tidbit about agent]. Chloe is a normal teenager living in New York. But when she is sucked out of her world into another, Chloe must work with a knight who considered a monster by his peers because of a disease and fight a demon lord in order to go home and save her brother who has joined the demon lord's side. The Red Thread is a 70,000 word YA fantasy for teenage girls. This is my first novel. ...So, is that better than my other one? YA Fantasy, THE RED THREAD. There is a perfect good reason for sixteen year old Chloe to be in the middle of the street, crying, and naked. You would be to if you (but not your clothes) were plopped into a world where monsters are real and indoor plumbing isn't. The knight in shining armor Chloe thought would save her turns out to be a berserker who tends to go mad with bloodlust at the most inconvenient times. The knight, Heath, is on a quest to save a kidnapped princess and defeat an evil tyrant. After Chloe joins Heath, she learns that the enemy Heath is fighting is linked to her own brother. In THE RED THREAD, Chloe must figure out how she can save her brother, even if he doesn't want to be saved, and how far she is willing to go for the knight she's falling in love with...even if he doesn't love her back. Too long and a little messy. It’s definitely a case of trying to be too clever and give too much information all at the same time. I’m not a big fan of pitches (or books) that talk to the reader. In other words, I don’t like the phrasing “there is a perfect(ly?) good reason . . .” I think I would like it better if it was something more along the lines of, "Sixteen-year-old Chloe felt no shame about standing in the middle of the street crying. Wouldn’t anyone who was plopped naked into a world where monsters are real and indoor plumbing isn’t? On the search to save a brother who doesn’t want to be saved, Chloe meets with a berserker who tends to go mad with bloodlust at the most inconvenient times and finds herself falling in love with a knight who is more focused on saving a kidnapped princess . . ." (you need one final closer here). And then I think you’ve got it. This one is close, very close, and I suspect any good YA agent would request at least a partial. I guess here it is long and messy. Generally, I give one sentence or so in the opener of my letter to capture the agent's interest. So that first paragraph would really be there as the hook, I'd follow that up with info on the book (genre, length, etc.) and then the middle paragraph of my query would be that last one. I'd never thought about the whole tone of the pitch that Jessica mentions, so I'm really glad she did. Sixteen-year-old Chloe felt no shame about sitting in the middle of the street, crying. Wouldn’t anyone who was plopped naked into a world where monsters are real and indoor plumbing isn’t? The Red Thread, a 70,000 word YA Fantasy for teen girls, shows what happens to Chloe when she's jerked abruptly out of her modern New York life and into a world where she must challenge all she used to believe in. On the search to save a brother who doesn’t want to be saved, Chloe meets with a berserker who tends to go mad with bloodlust at the most inconvenient times and finds herself falling in love with a knight who is more focused on saving a kidnapped princess. In the end, Chloe discovers that in order to have the life she wants, she must learn to accept one for who he is, and to do all she can to change the other. I am currently a high school English teacher and a working writer. This is my first novel. Thank you for your time and consideration. 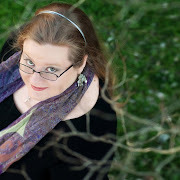 My last post on seeking out new YA works to check out the "freshness" of the genre prompted me to think about how I try to keep my own work fresh. It's a difficult thing to do; I love more of the older writers (Lewis, Adams) and even the more contemporary works that I like are more than a decade old (McKinley, Wrede). Even when dealing with the same author--like Robin McKinley or Gail Carson Levine--I like the early stuff better than the new stuff (The Hero and the Crown and Ella Enchanted were miles better than Sunshine or Fairest). So what to do? First, I make an effort to focus on characterization. Keeping my characters fresh helps keeps the whole work fresh. For example, the Pevensie children are much different from children from this age. Not just in the obvious, like fashion and technology, but also in attitude. The Pevensie children would never curse, and the comedy (and I'll admit there is little in Narnia) is subtle, not sarcastic. So injecting my characters with modern attitudes makes the entire book more modern. This applies even to period works. My most recently finished book, The Red Thread, takes place, for most of the time, in a medieval-style alternative world. But the characters from that world don't talk with thees and thous. Instead, they talk in as modern a voice as the two characters from New York--and I don't see a fallacy in this. My characters didn't really go back in time, and even then, it's more important in YA to have the tone right than the words, if that makes sense. In keeping my work fresh, I also make an effort to avoid the same ol', same ol'. This has led me into trouble before--Babbletongue is probably too different to be marketable at this time. But at least it's different. And The Red Thread may have a typical adventure of girl falling through portal into a world of knights in shining armor, but the overall plot is about her relationship with her drug-addicted brother. This is the sort of thing where I make a distinction. After all, Lucy may have had trouble with Edmund, but Edmund's drug was just Turkish Delight. It is my dream to one day have an editor who feels like this about my work. One of the most important things that a writer must do to be a writer is read (the other is write. In my opinion, that's basically it.). I am constantly shocked by my friends who are "writers" who do not read the books in the genre they write in. For example, I have a friend who is convinced that her life story would make a good memoir. Because people just love to have a real slice of Southern American life! But there's nothing really unusual about her life, and she has no real concept of the memoir genre. She's read one--count 'em, one--memoir in her life, and it was a memoir written about fifty years ago that has nothing to do with Southern America. Furthermore, I also feel it is important to have not only the classics of a genre, but also the newest works. In my area, YA Fantasy, I see too often aspiring writers who jump to Narnia as a fav, without thinking of more recent books. I have to admit, I'm guilty of that, too...Narnia is my favorite books, ever. But I have to resist the temptation to read and reread them over and over again (as well as resist the temptation to emulate them). I make a conscious effort to buy new books from established authors (like Fairest by Gail Carson Levine) and new books from new authors (like The Princess and the Hound by Mette Ivie Harrison). In reading these, I don't look for trends or try to analyze what the market is/will be...I don't see how that would really help me. Instead, I try to see how these authors are keeping the YA Fantasy genre fresh, because that is part of my goal as a writer. I wrote my first novel in college. I thought I was busy then, you know, between sleep, beer, and the occasional class. I thought life would be so much easier after work began. When there was no more homework. I work more now than I ever did in college, and my writing time competes with the few hours of sleep I need to live, to say nothing of dishes or dusting or laundry and the myriad of things I'm supposed to do as a housewife. I remember hearing somewhere that JK Rowling said she finished her last Harry Potter books so quickly because she didn't clean her house for a year (*snort* like she doesn't have maids in the castle!). That's a daily reality for me, though. I get home at five, cook supper, eat, talk to my husband, get ready for my paying job the next day....and then I've got maybe an hour in which to choose: wash the dishes, watch TV, take a shower, or write. The time crunch has literally meant that some days I have to chose between hygiene and creativity. And some nights, I smell. When bathing is a luxury, when you're willing to eat out of Tupperware because the bowls are dirty....maybe that's the definition of a writer.